​​RIVERSIDE, Calif. - Earlier this week, elected officials including State Senator Richard Roth and Assemblymember José Medina joined Wakeland and our partners from the Fair Housing Council of Riverside County (FHCRC) to announce the first-ever Civil Rights Institute of Inland Southern California. 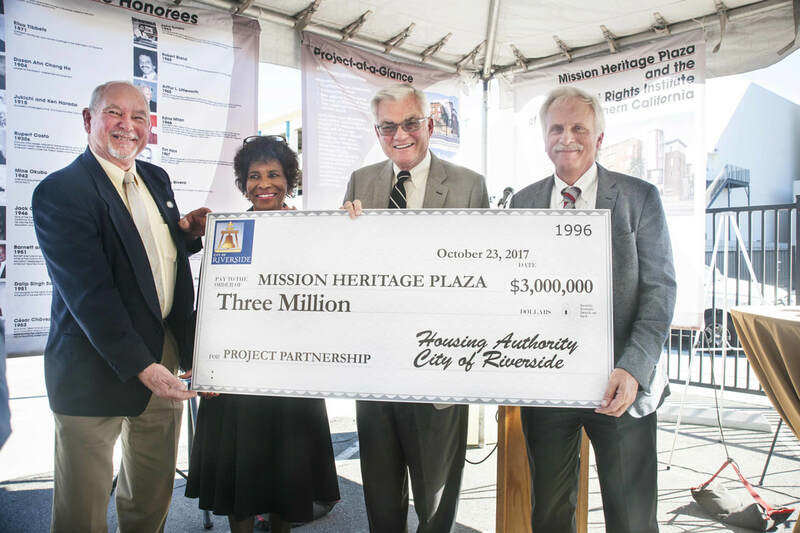 The Institute, which will provide public programming and exhibits on the area’s rich civil rights history, is the cornerstone of Wakeland and FHCRC’s Mission Heritage Plaza development in downtown Riverside, which will also include 72 affordable homes, community meeting space and new offices for FHCRC. The Oct. 23 kick-off event also served as the launch of the fundraising campaign for the Civil Rights Institute, which is already 30 percent of the way toward its $1 million capital campaign goal thanks to preliminary donors such as the Riverside African-American Historical Society.